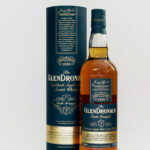 This entry was posted in Blog, Whisky Tastings and Events News and tagged Aberlour, Adelphi, Autumn Speyside Whisky Festival, Balvenie, Berry Bros & Rudd, Cadenheads, Carn Mor, Glenfarclas, Glenglassaugh, Glenlivet, Glenlivet Hill Trek, Mark Watt, Speyside Sessions, Strathisla, The Royal Oak, The WSD Autumn Festival, Wemyss, Whyte & MacKay on 9 July 2012 by Geoff Wilcock. Here are the details of our events and links to the events of some other event providers. Click through to book tickets. Tickets for our events will ONLY be on sale via The Whisky Shop Dufftown website and from the shop but nowhere else. Balvenie are hosting a number of special events during the festival. Contact them direct on 01340 822061 to book your tickets. 2pm Ã¢â‚¬â€œ 5pm Balvenie Visit: The Coopers' Craft (£50): Tour of Balvenie Maltings, Distillery, Warehouse 24 and 20cl bottling, Cooperage, nosing & tasting of 5 Balvenies from the range. Special focus on the CoopersÃ¢â‚¬â„¢ craft Ã¢â‚¬â€œ guests will be invited to build their own cask with our Coopers. 10am Ã¢â‚¬â€œ 1pm The Balvenie Visit (£25): Visiting Maltings, Distillery, & Warehouse 24. Nosing & Tasting 5 Balvenies from the range (including Tun 1401 batch 5). 2pm Ã¢â‚¬â€œ 5pm The Balvenie Visit & Dessert pairings (£75) : Balvenie visit includes: Maltings, Distillery, Warehouse 24 & 20cl bottling, Nosing/tasting of 5 Balvenies from the range, and a pairing with 5 mouth watering desserts from our award winning Chefs! 10am Ã¢â‚¬â€œ 1pm and 2pm Ã¢â‚¬â€œ 5pm Balvenie Visit - The art and craft of the Coppersmith (£50): Balvenie Coppersmith, Dennis McBain, will take guests through the Coppersmith story and his workshop. Visit includes: Maltings, Distillery, Warehouse 24 & 20cl bottling, Dennis McBain in his workshop, and Nosing/tasting of 5 Balvenies from the range. Spirit of the Malt Tours at 13.00 on Friday 28th, Saturday 29th and Sunday 30th September. Please contact each of the Visitor Centres DIRECT for information and to reserve your place.To find out more click Chivas Brothers. Glenfarclas distillery will be running their Connoisseur's Tour on 28th September at 2pm (£20). This the tour for you if few like a more in-depth look at the distilling process. The host is Ian McWilliam who will be able to answer any of your questions. For more information and book tickets from Glenfarclas click here. Glenlivet Hill Trek will be running their amazing festival tours again this year. If you have not done one then get yourself booked on one for this festival. This tour takes you along The Robbie McPherson smugglers trail for breath taking scenery and wild life. For more information click here. This is an exceptional and unique whisky tasting event along the Speyside Way taking in some great whisky bars along the way. For more information click here. The Keith Dufftown Railway are running some special whisky trains during the festival. Different trains will allow you to visit Glenfiddich, Strathisla and Strathmill distilleries. For more information click here. The Royal Oak is Dufftown's whisky pubs and is hosting a number of events during the festival. Saturday 29th September 21:30 to 00:30 - Live scottish music from Reelers Rant (Free) and Hogroast (Various). Hog Roast, live music and plenty of drams at The Royal Oak Dufftown. Just turn up on the night and pay as you go along. Monday 1st October 21:00 to 23:00 - Live scottish music (Free). Just turn up. 10:00 - 17:00 - Blind Blends Tasting - Click through and book on the day you want (Thursday to Monday). 10:00 - 17:00 - Cafe St James: Just turn up any time from Friday for light snacks and refreshments. Click here to see what's available. 10:00 (30 mins) - A Bacon Roll & 4 Nips - Click through and book on the day you want. 11:00 (30 mins) - A Bacon Roll & 4 Nips - Click through and book on the day you want. 12:00 (30 mins) - Haggis & 4 Nips - Click through and book on the day you want. 20:30 (2hrs) - An Evening of Traditional Scottish Music with a Twist hosted by the amazing Paul Anderson and Shona Donaldson. Read more about them here.